Our expertise is sought after for restoration of windows in domestic, civic and religious buildings throughout New Zealand. 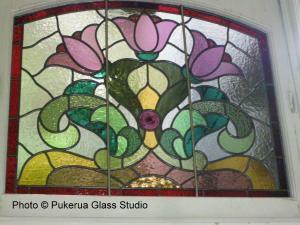 We restore, conserve and protect historic stained glass and repair damaged leadlights. 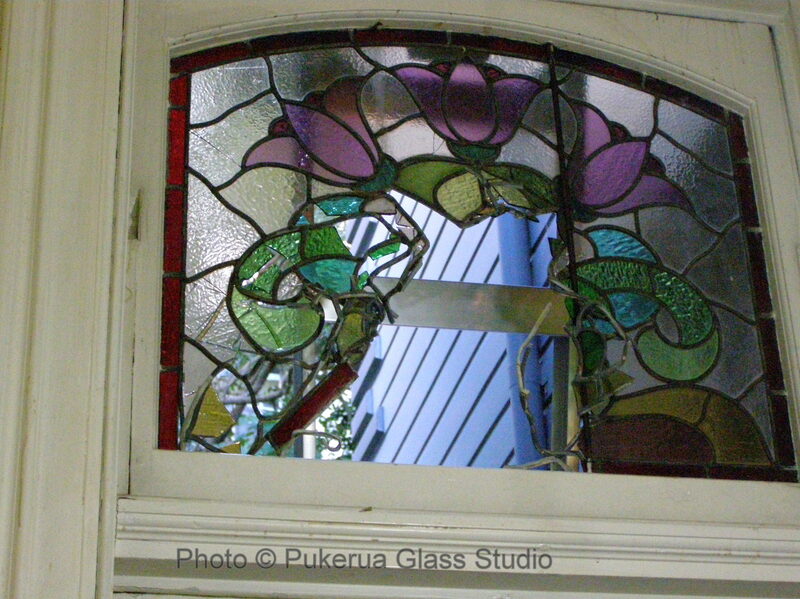 Pukerua Glass Studio brings over 25 years of restoration and conservation expertise of windows in domestic, civic and religious buildings all over New Zealand. Our work is endorsed by Heritage NZ (formerly NZ Historic Places Trust). We are an associate member of NZCCM (NZ Conservators of Cultural Materials). We offer several methods of protecting historic stained glass windows, from external to iso-thermal protective glazing. We have an extensive collection of salvage glass to match heritage glasses as well as suitable modern replacements. Our restoration services include traditional techniques like glass painting and acid etching as well as stabilizing repairs of damaged glass. 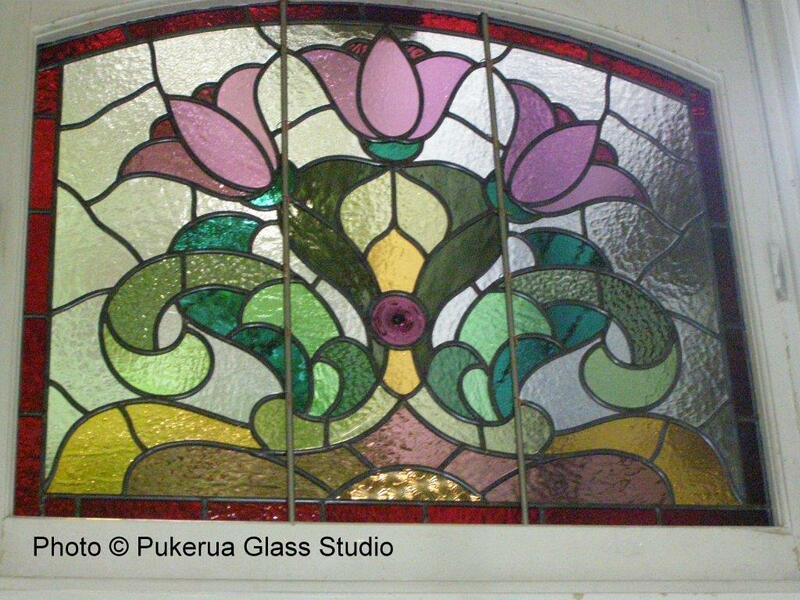 Contact us for condition inspections and reports, conservation reports and insurance valuations of your stained glass anywhere in New Zealand. 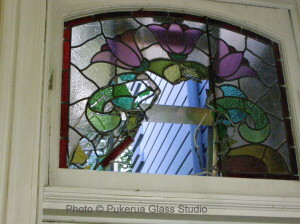 Vandalism to the historic Antrim House in Wellington, affected several of its stained glass windows which date back to the early 1900s. Heritage New Zealand which maintains the property and has its headquarters based there, commissioned the restoration of these windows. Here are before and after photos showing the amount of restoration work that was needed.